Ray “Black Buffalo” Wilson, who is an enrolled Indian in the Cowlitz tribe located in Washington State, chartered Black Buffalo Trails with North American Indian Missions, Inc. in 1976. 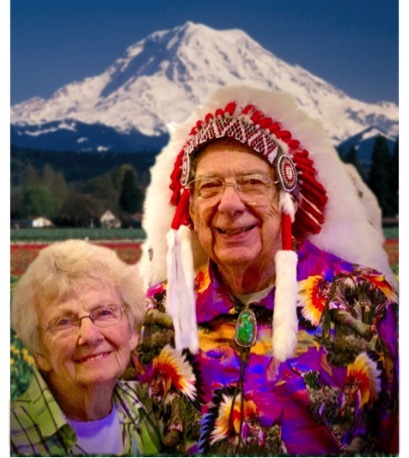 Most of the ministries that are displayed on this web site were inspired and started by Ray (Black Buffalo) and his wife, Priscilla (Singing Waters). On April 3, 2006, Ray Sr. passed the directorship of these ministries to his son, Ray “White Buffalo” Wilson Jr. and his wife Gayle. In February 2015, Ray Jr. suffered a life changing stroke, limiting what he could do. In November of 2016, Rev. Gordon Warriner became director and then at the annual BBGM board meeting on March 10, 2017 was elected as the new President for this ministry. In June of 2007, the board officially changed the organization’s name to Black Buffalo Global Ministries, to better reflect our vision of reaching native people all over the world. And then In January 2017, the name was once again changed to Black Buffalo Global Missions, as we felt we were more of a mission’s organization. Gordon, together with his wife Linda, who is Black Buffalo’s oldest daughter, serves as the director and president of Black Buffalo Global Missions. 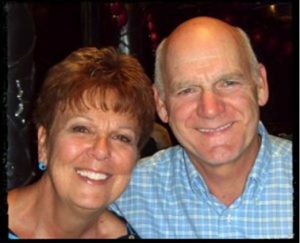 Gordon and Linda have been in full-time ministry since 1971. They have pastored several different churches (four of those working with first nations people), served as section pastors over churches in Northern B.C. & Yukon, and have served on the District Leadership Team. Over the years, they have taken various groups of people on short-term mission’s trips to the Havasupai Tribe in the Grand Canyon, The Crow Indian Reservation in Montana, as well as outreaches into Death Valley, Lone Pine, and Independence County Jail. They are blessed with three sons, all married and serving as Senior Pastors in full-time ministry. They also have 13 grandchildren and 2 great grandchildren. Their son, Tony, and his wife, Sara, serve as lead pastors for Evangel Chapel in Fort St. John, BC. They have four children, Luke, Tiana, Jordyn, and Levi. Their oldest granddaughter, Tiana, is married and her husband, Jimmy, serves as the associate pastor at their oldest son’s church. They have two children, Ember and Aria. Their son, Rich, and his wife, Becky, serve as lead pastors for Christ the King Church in Ferndale, Washington. They have five children, Victoria, Taylor, Ethan, Aliyah, and Presley. Their son, Gabriel, and his wife, Rachel, serve as lead pastors for River Valley Community Church in Grand Forks, B.C. They have four children, Josh, Emma, Madison, and Aiden.